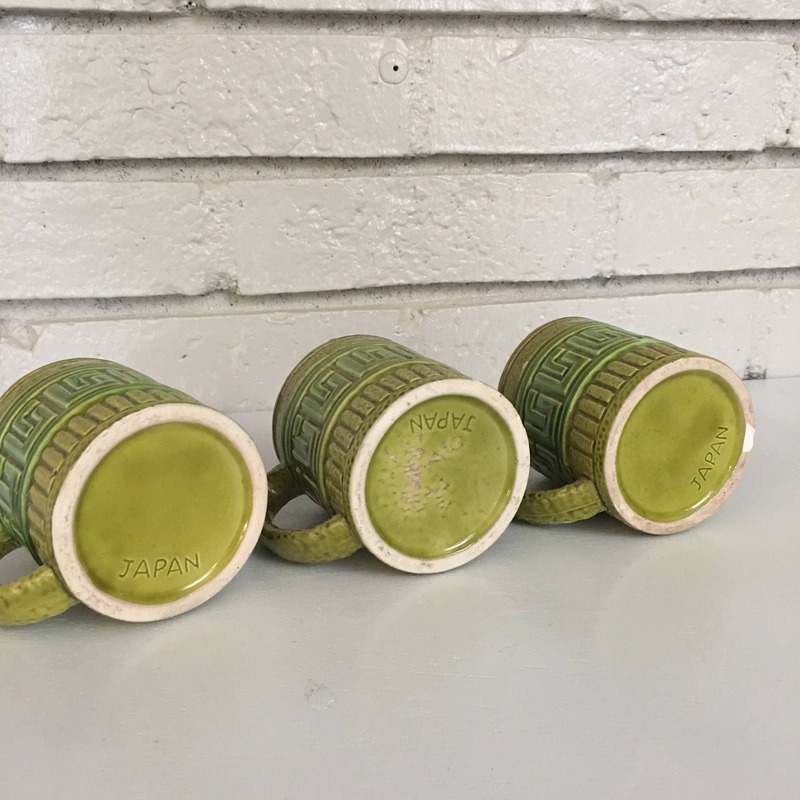 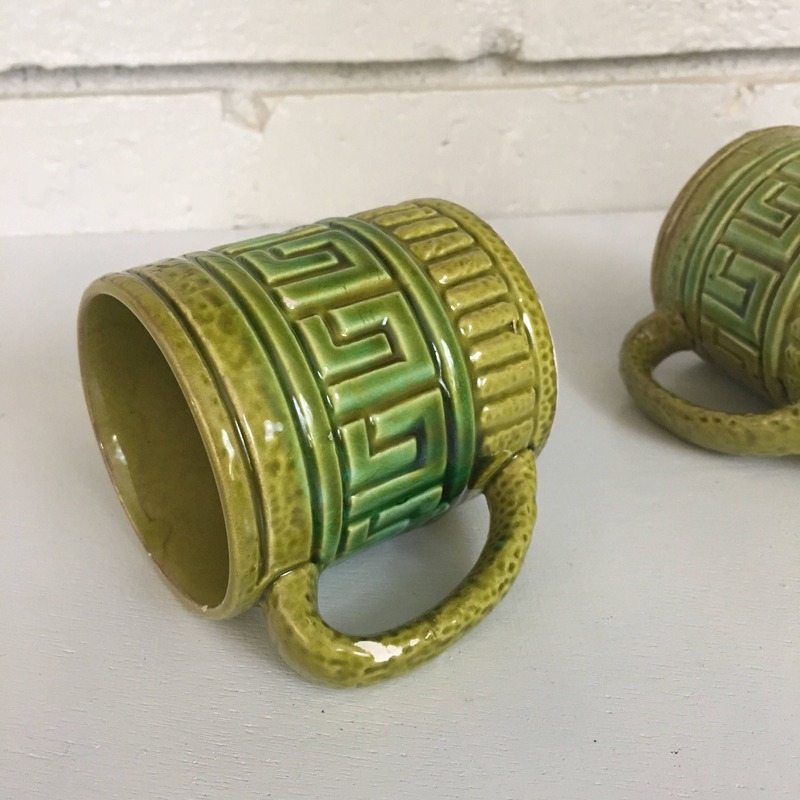 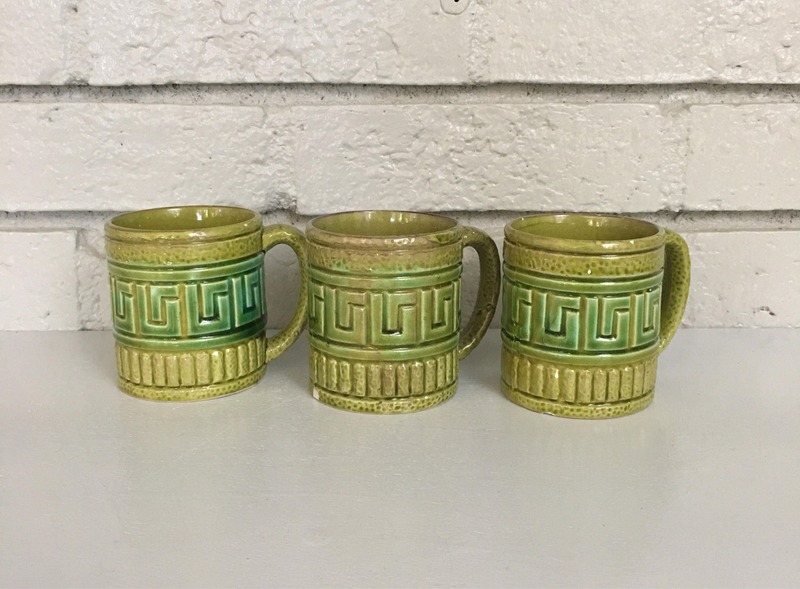 Set of 3 vintage ceramic Japanese mugs in varying shades of green - awesome color and could be used in so many creative ways. 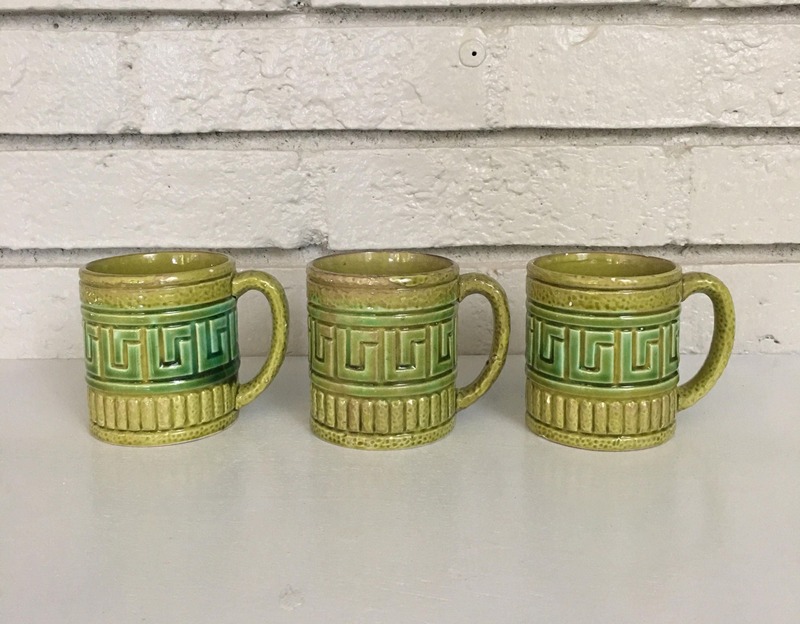 I just can't leave 3 behind because there isn't a perfect set! 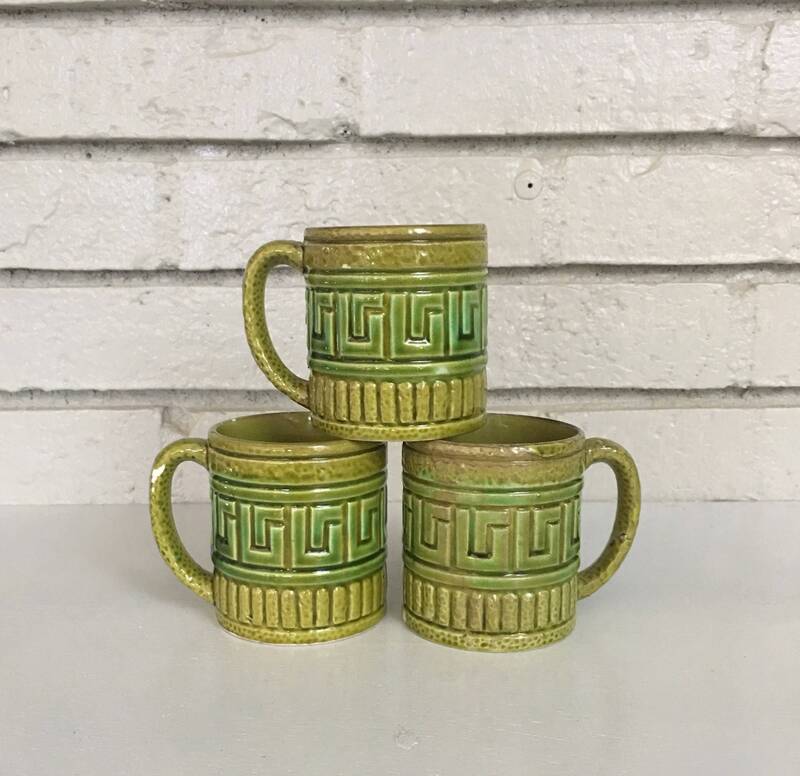 + Combined weight is 14.6 oz.